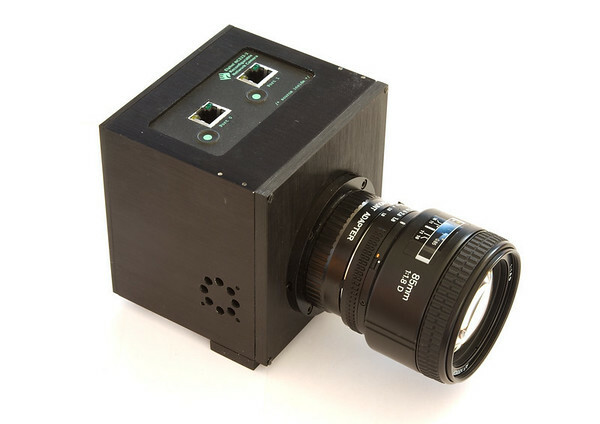 Ladies and gentlemen may I introduce the Elphel Model 323 camera. Which is the camera currently being used by Google (yes that GOOGLE!) for their Google book search project which aims to scan in 15 million books and make them accessible to the masses! It is capable (drumroll please!) of scanning 1000 pages per hour! at 11 megapixel! I must admit the thing looks freaking cool! I mean its using a Nikon 85mm f/1.8 with what looks like an adapter to allow the use of nikon lenses on a Mamiya body?! I would love to see how it works as well as it in action! I also applaud google for their bold effort of making information from books available to the masses, although not everyone agrees with their endeavor. But still that is absolutely one cool piece of gear! Hey thanks for the info! I did find it odd they would be using such a lens for this when a macro lens like the Nikon 60mm f/2.8 would have been better. But seriously, what do they use? you can make some educated guess about lens focus length and depth of field appropriate for such application. Interesting and absolutely great! thanks for the info again!